Update August 8, 2016: Kled’s Champion Spotlight has been released, giving us an even deeper look at him, his mount, and their combined abilities. The video shows how Kled operated with and without his mount, Skaarl, and even digs into his lore. He says “Skaarl” the way The Walking Dead’s Rick Grimes says “Carl”, too, so that’s definitely something we didn’t know before. He also says “chaaarge” in a way that makes you want to murder him. Have a look at everything on the way in this week’s League of Legends patch, 6.16. Update July 25, 2016:Kled’s champion reveal is out now and he is headed to the PBE soon, so here’s some more information on Kled, The Cantankerous Cavalier, and his mount, Skaarl. At least now we know which one Kled is. 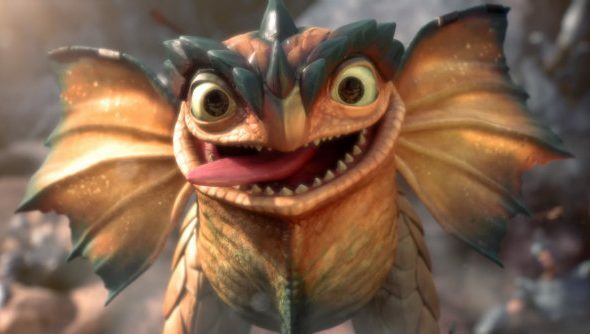 Skaarl is Kled’s trusty mount, and it’ll be the one soaking up the damage when Kled’s riding him. Once that health bar is depleted, though, he’ll scuttle off and leave poor old Kled fending for himself. “Noxian soldiers say a lot of things about the murderous yordle known as Kled,” says the official blurb. “They claim he’s fought in every campaign ever waged by the Noxian legions, acquired every possible military title, and has never once backed down from a fight. Skaarl might run off, but he soon comes running back when Kled deals damage to enemies and towers. Skaarl might even be stronger by then, as anybonus health Kled picks up through items, runes, and masteries also applies to his cowardly mount. For more on the duo, check the official post. Update July 21, 2016:The new Champion (or Champions) for League of Legends has been revealed in a video showing off Kled, a rider and mount duo. While we don’t get to see the new Champion in action, the new introduction video gives us a glimpse of the duo’s personalities as they reunite in the middle of a frontline battle filled with armoured knights. If this taste of battle is anything to go by, they’ll be able to hold their own against a swarm of minions no problem. Update July 13, 2016:Another new poster has popped up, possibly offering more hints for a new LoL Champion. Original Story July 11, 2016: Not a headline I would have predicted this morning, but here we are. Hand-drawn wanted posters have been ‘found’ at various eSports bars – ones that specialise in showing eSports events – for some sort of League of Legends announcement. So far Spanish, Italian and Turkish language versions have all been posted on Twitter. 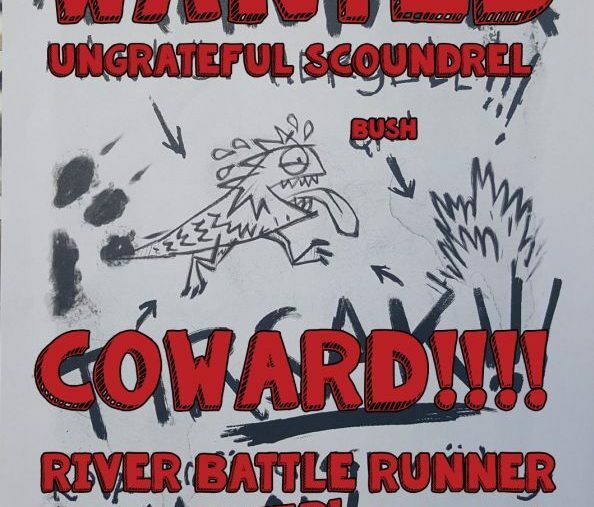 They’re all signed by an unknown character called Kled, and express anger at a fish-looking creature, possibly current ADC Kog’Maw, for running away from battles in League of Legends’ river and hiding in a bush. So, what does it mean? Debate runs rampant. A recent update to the 6.14 PBE added mysterious sounds to the bushes around the map, which are likely related to the next champion. This would seem to be an introductory element to that. 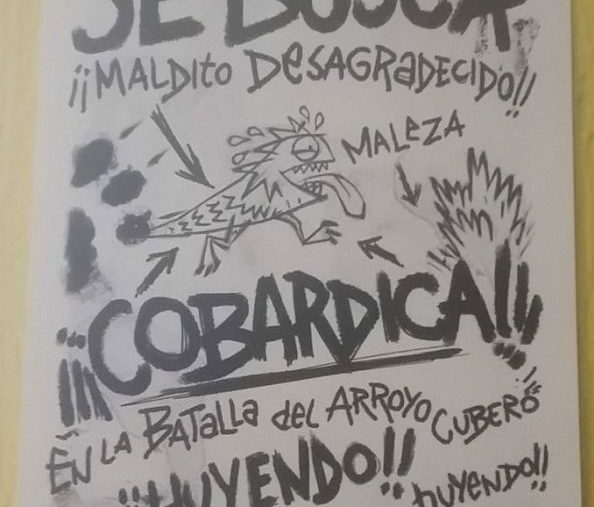 The most convincing theory so far is that Kog’Maw is the new champion’s rival, who is the one making the posters. Another is that the fish-creature in the middle isn’t Kog’Maw, but a relative that will be the new champion. These things are never simple. An Italian version is also floating about, and Meltdown Valencia posted their own pic of the Spanish one. We’ll likely hear more about Kled and their mysterious fish-rival as the week progresses and the 6.15 PBE comes up for testing.